Hoosier Pass rises to an elevation of 11,541 feet. It's a high mountain pass in the Rocky Mountains of central Colorado, situated on the continental divide at the northern tip of Mosquito Range in a space between Mount Democrat in the west and Hoosier Ridge in the east. The Hoosier Pass is an alternative access to Breckenridge from Denver, often used to access the ski areas in the region. Take a hike above the tree line for some picture perfect postcards. Get a view of the Mosquito Range and Mt. Lincoln. Take your motorcycle out for a spin on an unforgettable ride. Hoosier Pass creates an alternative route between Denver and Breckenridge, passing through Fairplay. It is a common route to access the ski areas in the region: Breckenridge, Copper Mountain, Arapahoe Basin and Keystone. The Mosquito Range is a high mountain range rising to an elevation of about 14,000 feet with Hoosier Pass at its northern tip. 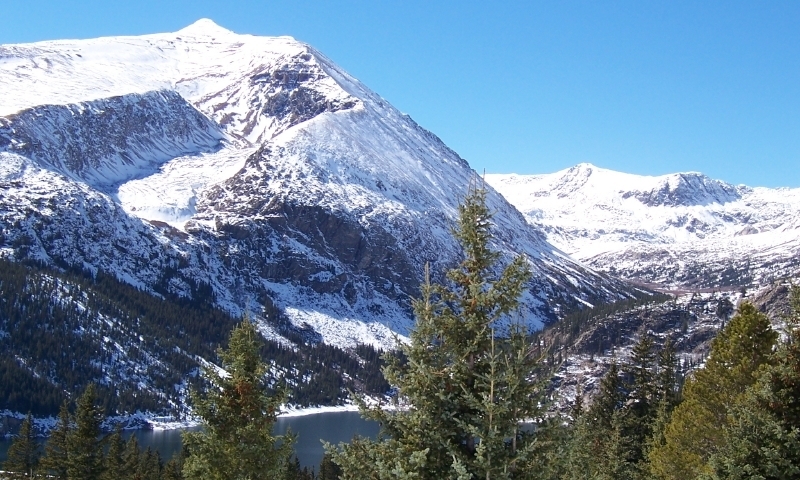 The range's peaks create a ridge that runs north-south for about 40 miles from southern Summit County in the north, and along the boundary between Lake and Park counties. Hoosier Pass is along the section of CO-9 between Breckenridge and Fairplay. Normally it's open all year and can be traversed by every type of vehicle in decent weather. During winter storms, however, the road can be closed. There is a wonderful hike above the tree line at the top of Hoosier Pass. This trail is particularly suited to those who don't want the heart pounding ascents normally used to reach the high-altitude vistas seen on postcards. Starting at 11,541 feet elevation and gaining about 700 feet during the course of the three mile loop, the trail shows visitors Mt. Lincoln, Alma and the countless peaks stretching out into the distance. Pull over at the top of the pass, parking near the continental divide sign. The trail loop is a four-wheel drive road, marked as Trail #208. Hoosier pass is a popular route for our two-wheeled friends out for a ride.